The fact that the driver walked away unharmed from this wreck is another feather in the cap of Saab’s legendary safety. With a car like this, who needs friends? 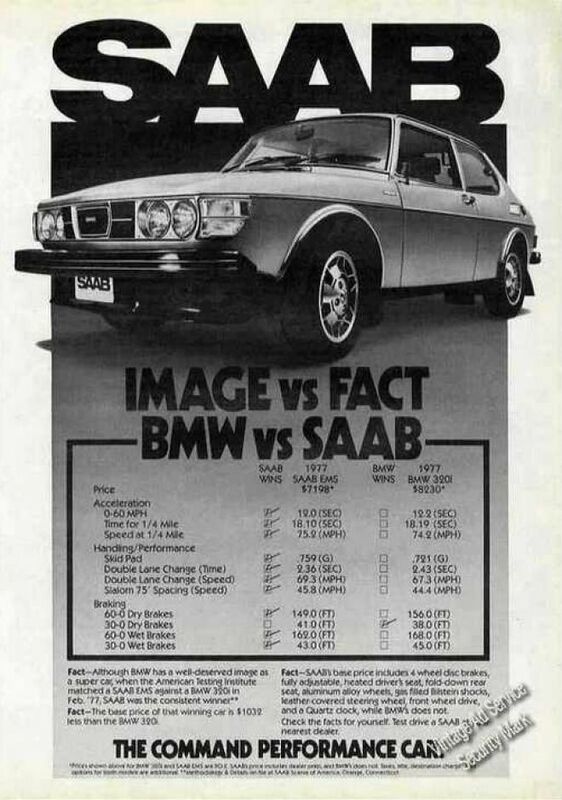 Fun fact: The $3,795 a Saab Sonett cost when this ad was released in 1972 would be an affordable $21,867 today. 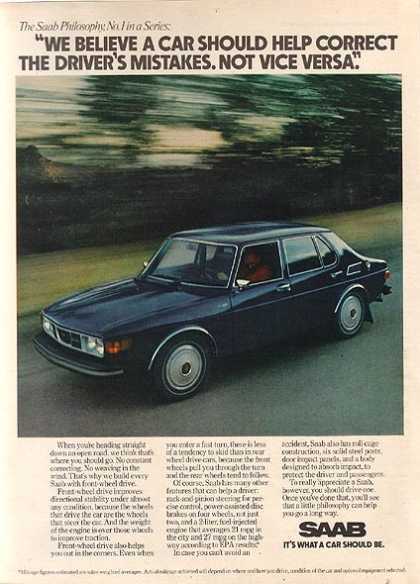 Saab customer wondering how their cars seem to run forever is a testament to brand quality. That’s some seriously good engineering. 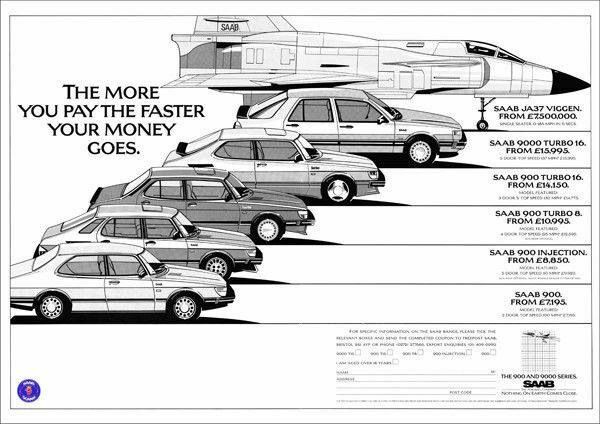 The great Saab vs BMW war of 1977, concentrated in one ad. They say it was quite a one-sided affair. Anyone want to pitch in for the jet? Anyone? 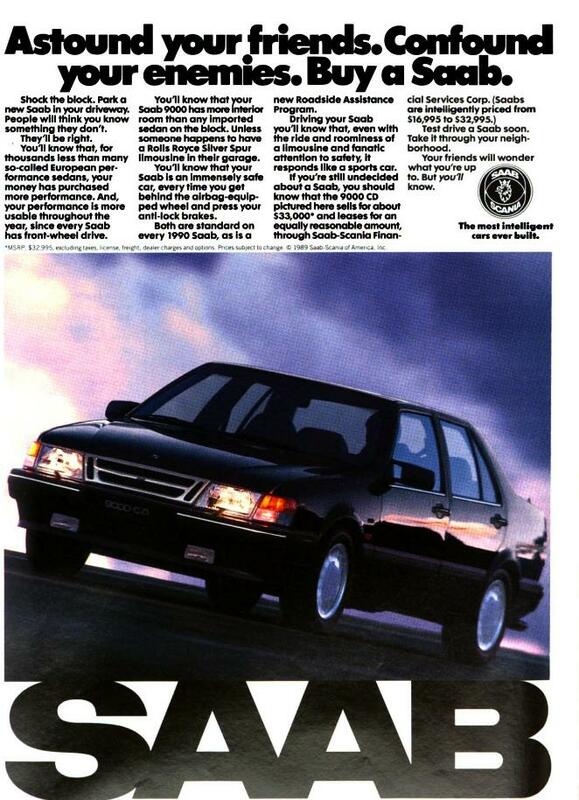 The socks/sandals combo of the modern dad would definitely clash with this cool Saab. 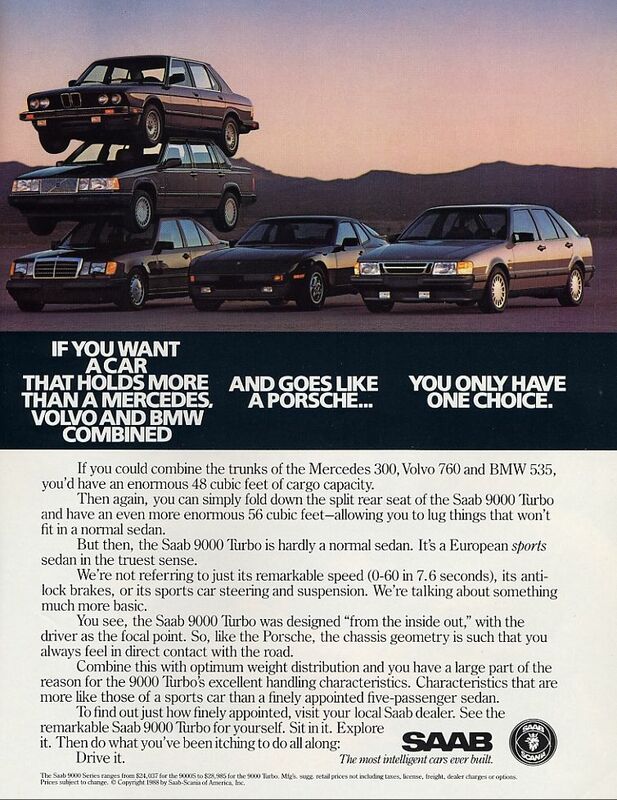 We’re especially curious how they stacked those cars so perfectly in the pre-Photoshop era. 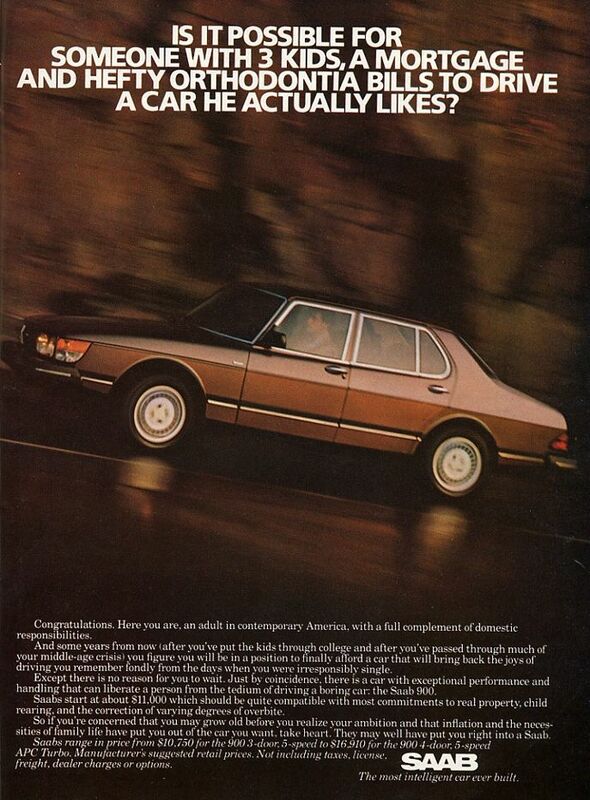 Our biggest mistake was not buying this car. 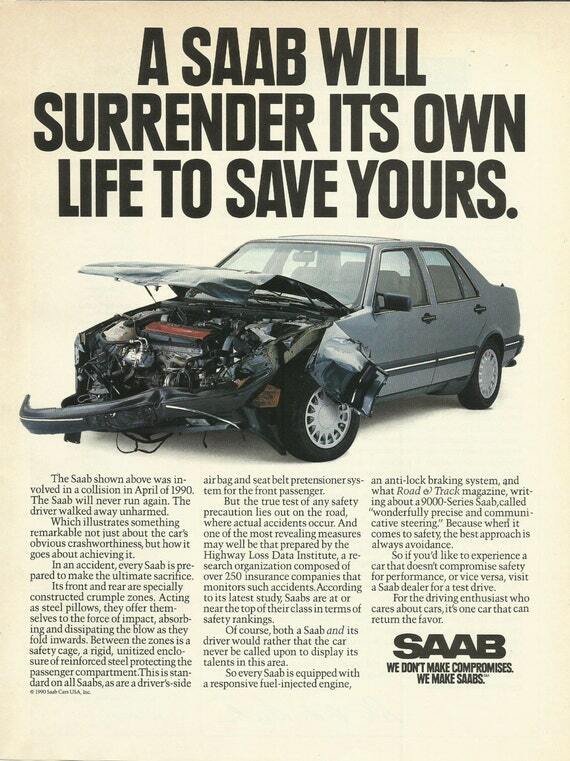 Next article Are Saabs the World’s Safest Cars?